A 20 ounce Coca-Cola has 240 calories, provided entirely by the 65 grams of sugar in the bottle (in the form of High Fructose Corn Syrup, for most of us in the USA). Check the label — it’s got 2.5 “servings” even though you’re going to drink the whole thing. 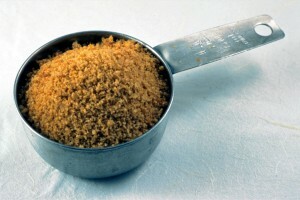 With 4 grams of sugar in a teaspoon, that’s over 16 teaspoons of sugar. That’s a third of a cup of refined sugar. Just sayin’. I’ll go into more detail about why you should rethink your drink* in future posts, but in the meantime, Spring has Sprung, so why not have a nice glass of unsweetened, sun-brewed iced tea? * “Rethink your drink” shamelessly stolen from my nutrition teacher, Suzanne Bogert.